Barbados Kitchen Remodeling - Let Us Help You With Your Kitchen Remodel! | Fiberpol. Inc. Apply For Barbados Kitchen Financing Today! Fiberpol offers remodeling services you can rely on when you are interested in upgrading your Barbados kitchen. 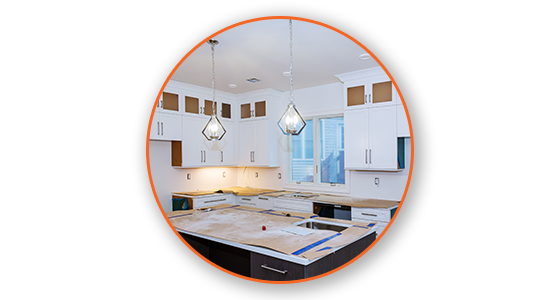 While we take create pride in creating dream kitchens for our clients, we understand that this type of remodeling projects can be costly. Whether you want granite countertops, new kitchen cabinets, an island that offers more storage and counter space, or a completely new kitchen remodel, we have financing solutions that will make remodeling your ktichen stress-free and budget friendly. 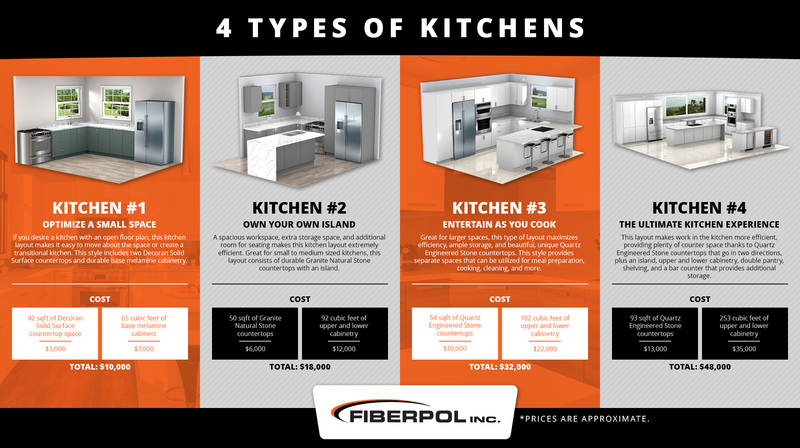 Fiberpol’s kitchen remodel financing is a great way to have the kitchen you’ve always wanted, with all the components and appliances you desire, at an affordable monthly rate. In terms of functionality and aesthetics, new countertops and cabinets are some of the best upgrades you can make to your home in Barbados. However, kitchen renovation upgrade expenses can quickly add up, and not everyone has the budget to attain the kitchen of their dreams — that’s where our kitchen financing comes in handy. 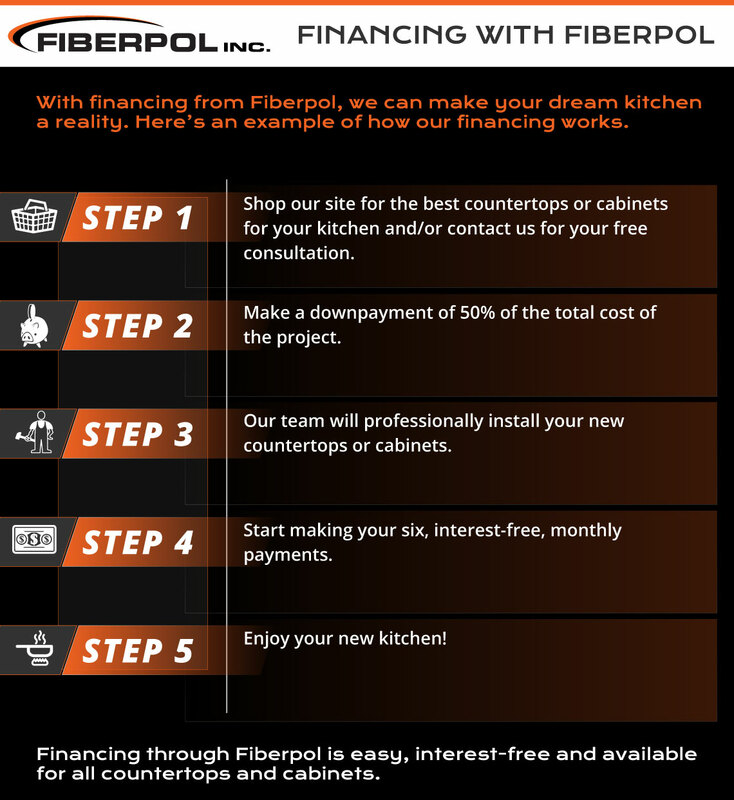 At Fiberpol, we are proud to offer no-interest, six-month financing options for the installation of new kitchen countertops or cabinets. We cover the remaining interest fee! What’s more, you can pay for your additions six months affter the installation has been completed. Begin by working with our talented kitchen designers to find the best cabinet and countertops options for your Barbados kitchen. Then, we’ll review our financing plan that will cover the cost of the project, only requiring a 50 percent deposit to begin the work. Once the installation is complete, you make monthly payments over time until the project is covered. Keep in mind, our financing program only applies to countertops and cabinets; it is not applicable to our air conditioners, fiberglass tanks, or any of our other products. If you don’t want to have to wait to begin renovating your kitchen, our financing choices can save you and your wallet. Reach out to our remodeling professionals today to learn more information about our comprehensive financing assistance. 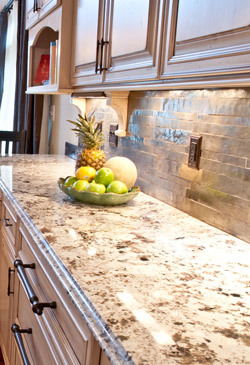 We want to help you attain a beautiful, functional, and desirable kitchen with pure comfort and peace of mind.